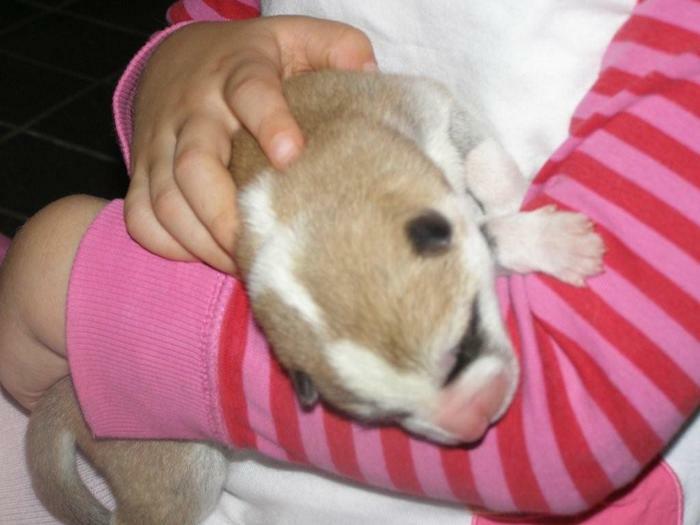 Halla's and Marski's 7 puppies are born 22.10.2010. All red, 5 boys and 2 girls. Unfortunately the other girl didn't make it. 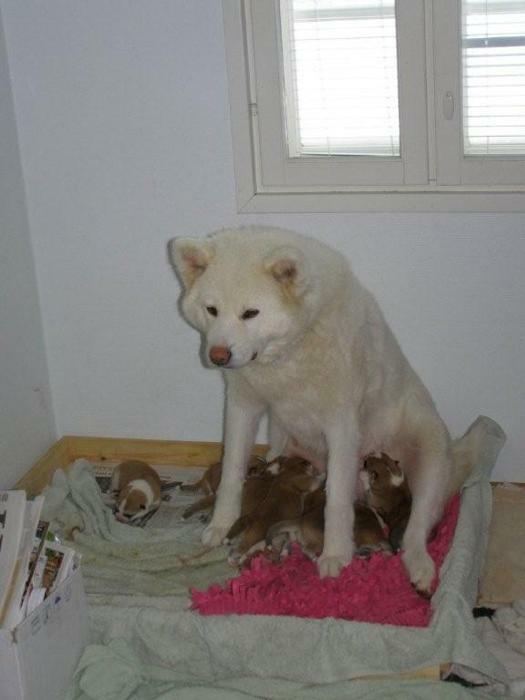 Halla is a good mother and her birth went well. There are only red puppies, like we thought. Marski doesn't carry white color. 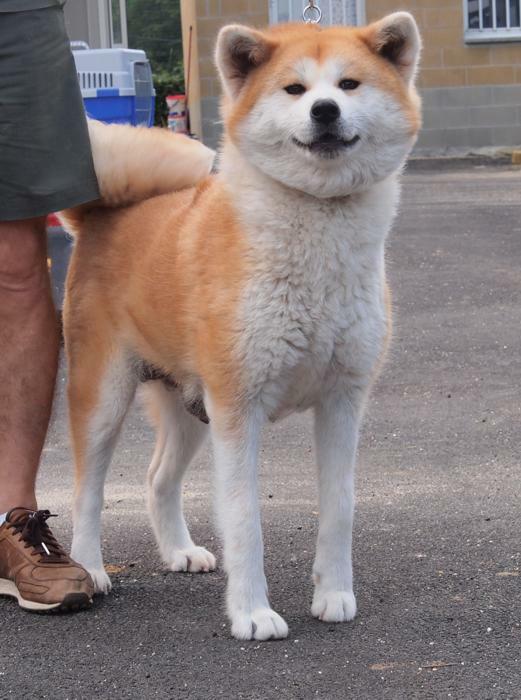 I'm expecting to have big Akitas with strong bones, lovely nature and gorgeous expressions. Puppies are raised among with chidren and other animals, like horses. Halla is from a great Ghibli-litter. Ghiblis are full of AKIHO Akitas. 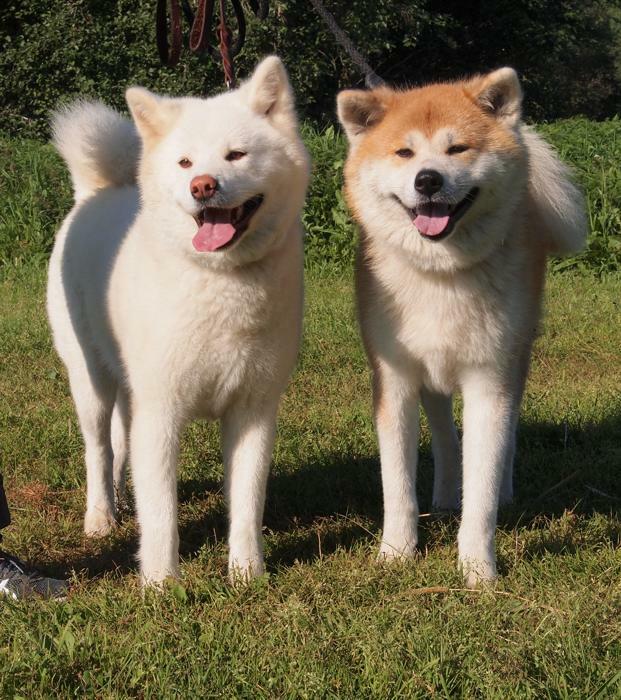 Also our Ghibli litter is registered to the Japan AKIHO register!! 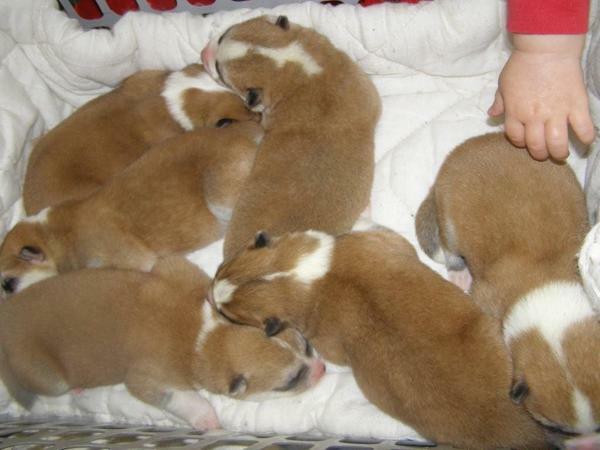 Marski's parents are imported from Japan, so the litter will truly be full of AKIHO Akitas. Marski is imported from Italy, kennel Casa Saporito. 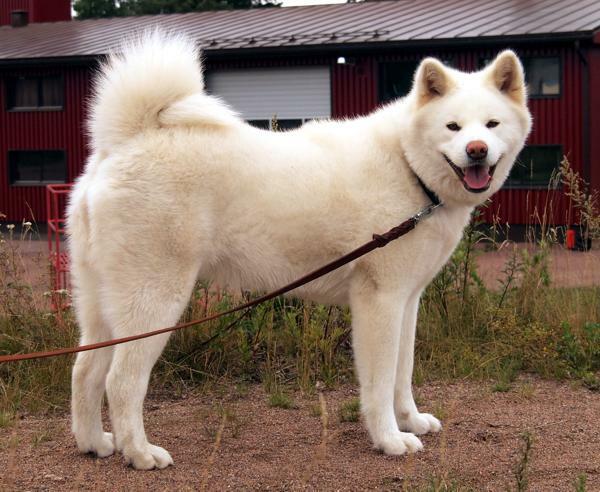 Halla is a big female (size about 65 cm) with strong bones and thick, white coat. She has brothers who are over 70 cm! Halla is a female who isn't affraid of little things and that is one of the best things about her. Halla has been healthy always. Her hips are C/C and eyes healthy. Halla's parents don't have good hips, but two of her brothers has healthy hips. Marski is exceptionally great male. He has dark red coat and lovely Japanese expression. His nature is great and easily handled. Marski is healthy boy with B/B hips, healthy knees, elbows and eyes. 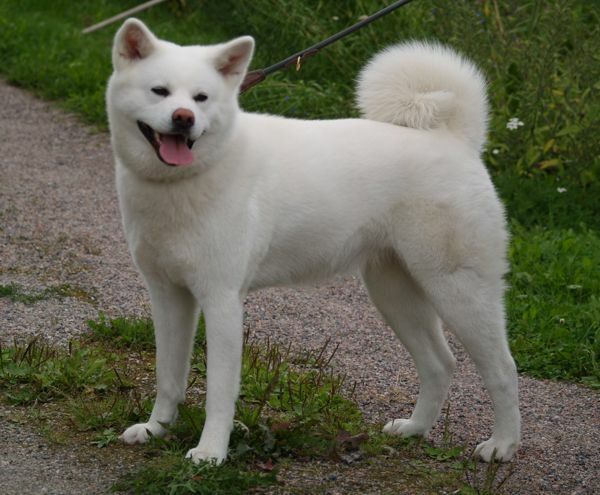 H-litter has got also great grand parents, like our lovely Japan import boy Sulo. 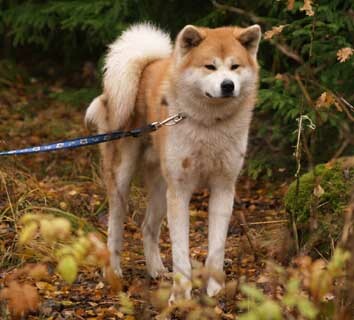 Hips could be better with Halla's parents, but her pedigree is full of great Akitas. One of Halla's brothers has thyroid problems (SA tested - negative), but with medicines he is doing great. Other big health issues there are none. I hope this litter grows to be as healthy and great as their backrounds are. Marski has also many puppies in Finland with no big health issues.